Happy Friday! It is starting to feel a lot like fall here in Maryland. The past few weeks have been really warm; but now, it is time to bring out the sweaters, jackets, cardigan and boots. I am looking forward to sharing all my favorite fall looks. One of my favorite things about styling looks for this season are the boots. I enjoy wearing ankle boots off and some of my ankle boots obsession include my pointy-toe booties, this red 'sock' heeled ankle boots, and this formfitting pointy-toe booties. There are so many ways to wear ankle boots and one of my favorite ways to style ankle boots is with jeans. 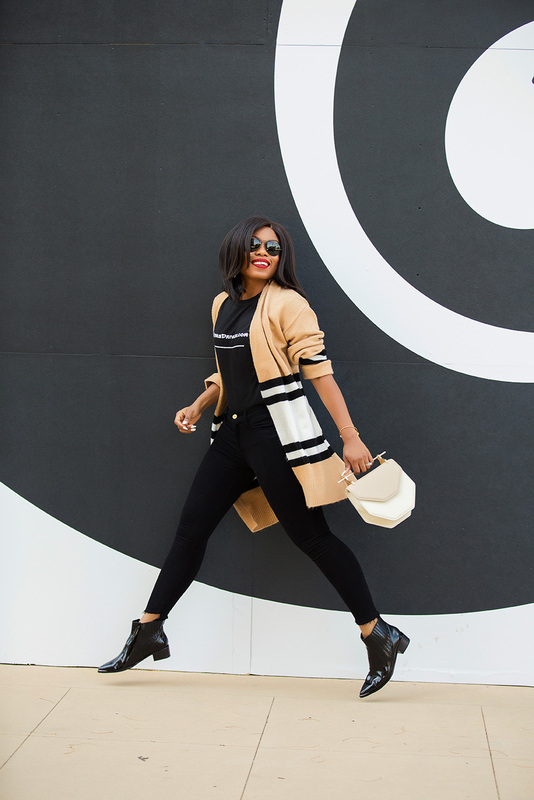 Jeans are usually my go-to casual weekend style and now, I am able to incorporate ankle boots . 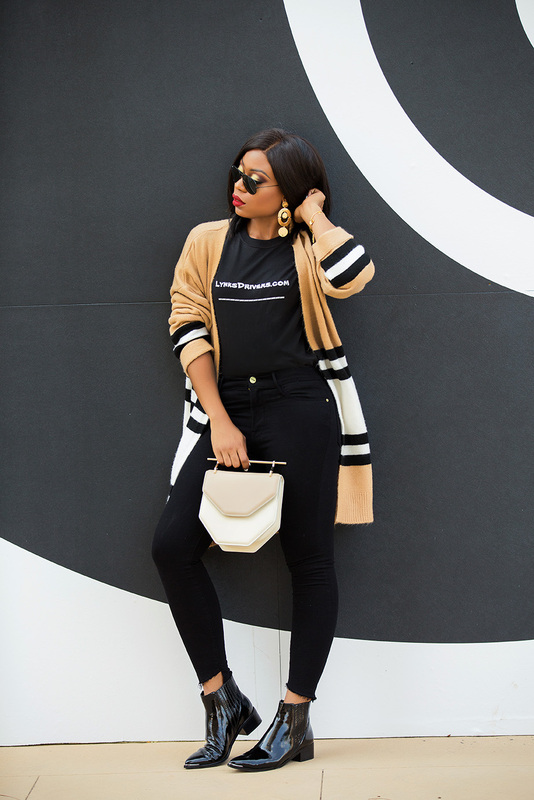 Opt for a pair of ankle/cropped jeans such as a hem pair like the one I am wearing on this post or this high-waist version.